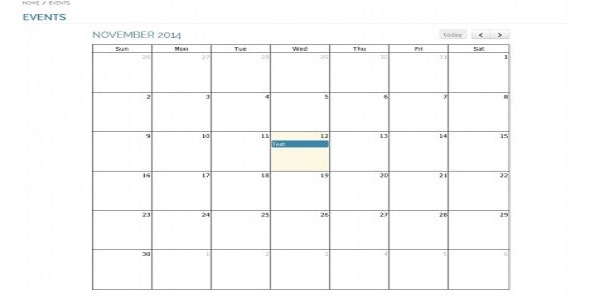 This extension can be use to manage the events with full calendar and its show you upcoming events list. This extension is very user friendly to create and update events from admin panel. Also developer can easily changes of front end design as per requirements, its very simple and user friendly. Here you can see upcoming event list also. When you can click on particular event its display full event detail.